Special ordered Excalibur Series II Phaeton example with two-tone Silver Moondust & Red Moondust paint scheme! Rare, factory polished hood panels and half fenders! Only 3 owners from new with just 16,000 original miles! Factory 454ci V8, air conditioning, leather interior, power 4-wheels disc brakes, two tops, and more! Created by industrial designer, Brook Stevens, who was responsible for innovations spanning some 60 years! With his automobile passion and career with Studebaker, he designed his own vehicle along with his two sons in the early 1960’s, and later established Excalibur Automobile Corp located in Milwaukee, Wisconsin. These beautifully crafted cars are completely factory built, never sold or produced in “kit” form. Using only new components, modern drive train & chassis, and styling borrowed from the rare Mercedes SSK, these cars were an instant success! We are delighted to offer this super original 1973 Excalibur Series II Phaeton finished in special ordered color of Silver Moondust Metallic body & Red Moondust Metallic fenders over Black Leather interior. These Series II examples are designed on top of sporty Corvette chassis providing 4-wheel independent suspension and 4-wheel disc brakes from 1972 forward. Power comes from the robust 454ci High-Output Corvette V8 engine making 250 horsepower, Turbo-Hydramatic 400 automatic transmission with Hurst His/Hers shifter, and Posi-Traction rear end! The option and feature list is quite long for this impressive car! They include air conditioning, variable-ratio power steering, dual circuit power disc brakes, tilt/telescopic steering column, special “Excalibur” engraved steering wheel by Moto-Lita, custom Excalibur “SS” wood shift knob, adjustable swivel headrests, heater & defrost, full instrumentation, triple windscreen wipers, reclining front seats, tilt/telescopic steering column, rear mounted trunk, dual side-mounted spares with covers on half fenders with running boards, spare-mounted rearview mirrors, special design 15” Borani chrome wire spoke wheels (6) wrapped in 215/70R15 white wall tires, original Motorola pushbutton AM/FM radio, wind wings, Lucas fog lamps, functional Sparton air horns, and polished stainless steel side-exit dual exhaust! Our Excalibur was built in March 1973 and today has traveled just 16,446 total miles! It is remarkably well-kept and shows only normal indications of being driven. This example was special ordered by Wilfred Barry of Downer’s Grove, IL with delivery on March 31st, 1973 with rare factory polished hood panels and half fenders! He enjoyed this example until an unfortunate divorce several decades later, and the car stayed in dry storage with his ex-wife’s name now on the title. She would eventually sell it to longtime family friend, Leo Heflin of Elmhurst, Illinois, in November 2015. He would find the inefficient factory Corvette camshaft in need of replacement due to a rounded lobe, and quickly had it replaced for new with a fresh intake gasket, timing chain & gear, new water pump, thermostat & gasket, and fuel pump & filter. He also had the complete braking system renewed with all new calipers at each corner, pads, and fluid. The Cooper tires are new, leaf spring links, engine drive belts, and complete ignition system. He enjoyed it for nearly two years before the itch for a new car bite him. Complete with the original convertible soft top, hard top, side curtains, and formal boot cover! It comes with the original Excalibur order form and owner’s manual! All interior features and gauges are working including the air conditioning! 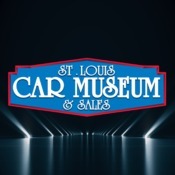 Upon arrival to the St. Louis Car Museum, we retrofitted the a/c to R134a refrigerant, replaced the valve cover gaskets, engine oil/filter, replaced the coolant reservoir cap, tightened wheel bearings, and replaced the idler arm, among other small services. It continues to run, drive, and perform outstandingly! This is 1 of only 342 Excalibur’s produced from 1970 through 1974 making them the rarest of all Excalibur\'s ever built! Please feel free to call with additional questions or to schedule a time to view this marvelous vehicle in person!